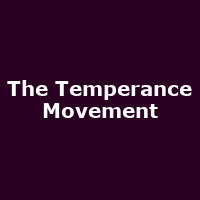 Let's not beat about the bush here - The Temperance Movement are hot property at the moment. And you know what's even better? - they're British. Mind you, one listen to singer Phil Campbell's shop-soiled drawl and you'd be forgiven for thinking, "yep, they're from Alabama". Nope, they're from Blighty - a mixture of London, Scotland and an Aussie-born drummer. So, if you like heart-felt electric blues that sounds as though Alabama Shakes and Jack White have recruited AC/DC's Brian Johnson as vocalist, step this way. In a few days, The Temperance Movement will be embarking on a near sold-out UK tour with just one show left with spaces - come on Liverpool, you know you want to (it's on 7th May, since you ask). In fact, due to the buzz currently descending upon them, the band have confirmed another stream of shows for the summer.